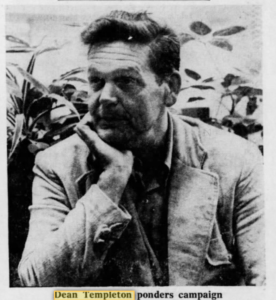 In 1971 Ralph Dean Templeton, known as “Dean” decided to leave his life in Flint, Michigan behind. 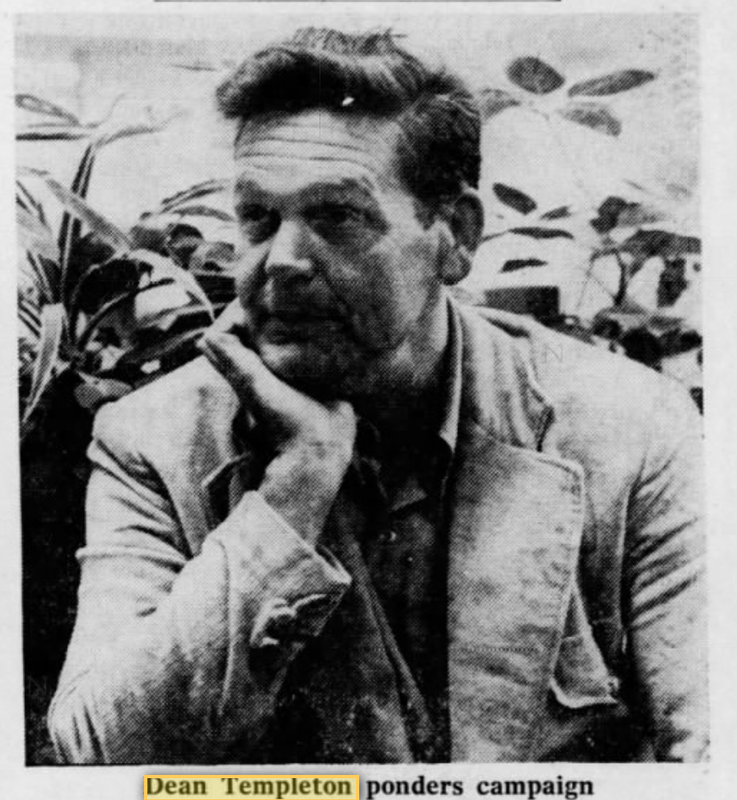 He set out on a cross country journey in his unsuccessful bid to become the 38th president of the United States. 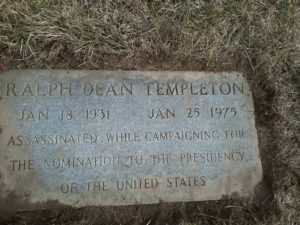 In January of 1975 Templeton was murdered, shot and left on the side of the road in rural Washington. Templeton’s grave marker is all that remains from his efforts.